For instance, in order to get 1 single 15ml bottle of rose essential oils it take 65 pounds of rose pedals! Clove: Anti-bacterial, anti-parasitic and antioxidant protection. Cypress: Improves circulation, reduces varicose veins, lifts confidence and can help heal broken bones. Eucalyptus: Improves respiratory issues like bronchitis, sinusitis and allergies. Also invigorating and purifies the body. Frankincense: Builds immunity, reduces inflammation, heals age spots, supports brain and fights cancer. 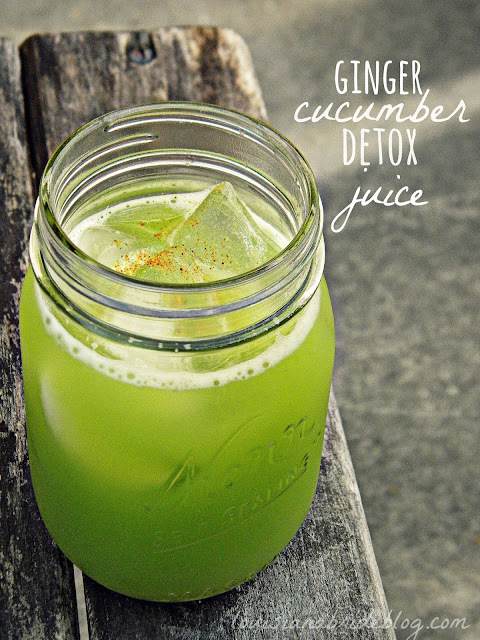 Ginger: Reduces inflammation, supports joints, improves digestion and relieves nausea. Grapefruit: Supports metabolism and cellulite reduction. Mix with coconut oil and rub on areas of cellulite or take a few drops internally with water. Myrrh: Natural anti-septic and can prevent or reduce infections. Also, supports beautiful skin, reducing stretch marks and hormone balance. Rose: Incredible for reducing skin inflammation and great for creating glowing skin. Add a few drops to your facial moisturizer. Also, one of the most valued essential oils in the world at $1000+ for 15ml. Tea tree oil (melaleuca): natural anti-bacterial, anti-fungal, reduces bad odors and can help stimulate the immune system. Sandalwood: Natural aphrodisiac that improves libido and can also improve energy. Different oils can be blended together to enhance each other’s energy or can be blended with a base oil to be used for massage, shower gels, or body lotions. Topically – Essential oils have a very small size and of the chemical weight of less than 1000m (m = weight of molecule). According to scientific testing, any substance with a molecular weight below 1000m should be absorbed by the skin. This means that essential oils are able to penetrate the skin and pass into the blood stream and into different areas of the body for internal therapeutic benefits. Oils like peppermint, lemon and frankincense have great internal benefits and can be taken with water. Other essential oils like clove and oregano need to be diluted and shouldn’t be taken internally for more than 1 week. Personal Care – Today, the fastest way essential oils are being used is by making homemade DIY personal care products. This is an excellent away to take advantage of essential oils to improve your beauty, home and long term health. Some of the best DIY recipes to use essential oils with include: shampoo, body butter, toothpaste, bug spray, lip balm and household cleaner. For most people I recommend 10% dilution which is 5 drops of oil per 1/2 teaspoon. The skin and beauty industry is a billion dollar industry unfortunately it is filled with chemicals and hydrogenated oils that cause internal toxicity in the body. Essential oils for hair loss can make a significant difference at stopping it in it’s tracks. Oils of rosemary, lavender and sage can all help naturally thicken hair by stimulating the hair follicles. Also, try these homemade recipes: Rosemary Mint Shampoo and Coconut Lavender Shampoo. Bugs and mosquitos can cause big problems in certain areas of the world. These pests can ruin vacations, BBQ’s and special occasions. To keep bugs at bay you can makehomemade natural bug spray that works! Rub or spray all over body to repel bugs. Having a homemade first aid kit on hand for the everyday wound, sting, sunburn, muscle pain or injury is always a good idea. Essential oils are used widely as natural medicine but without the side effects of conventional drugs like aspirin and antibiotics. + Lavender – to heal burns, cuts, rashes, stings, reduce anxiety and help sleep after trauma. + Peppermint – to improve pain in joints, muscles, relieve digestive issues, reduce fevers, clear sinuses, improve asthma, bronchitis and relieve headaches. + Frankincense – anti-inflammatory, heal bruising, reduce scars, boost immunity and emotional well-being. + Melaleuca – anti-bacterial, anti-fungal, can be used to prevent and reduce infection and clean air of pathogens and allergens. Other oils you may want to have on hand to makeover your medicine cabinet include: eucalyptus, oregano, and clove. When it comes to losing weight, most everyone understands that improving diet and doing the right type of exercise can support weight loss. But, often times people want an extra boost to help them reach their weight loss goals. Unfortunately, most people turn to stimulants and caffeine for fat loss rather than plant based medicine. Grapefruit oil contains d-limonene which is found in citrus peels. A study found that supplementing d-limonene improved metabolic enzyme levels. Peppermint oil has been shown to improve weight loss because it suppresses cravings and improves digestion. Cinnamon oil helps balance blood sugar levels which will assist in weight loss and improve diabetes. Ginger oil contains gingerol which has powerful anti-inflammatory properties and increases thermogenesis which boosts metabolism. Pregnancy – Basil, cinnamon, clary sage, clove, cypress, fennel, jasmine, juniper, marjoram, myrrh, rose, rosemary, sage and thyme. In most cases, these oils are completely healthy but because they can effect hormones they are not recommended at this stage. Heart medications (blood thinners) – Clary sage, cypress, eucalyptus, ginger, rosemary, sage and thyme. Overall, aromatherapy is a great and inexpensive way to help promote healing, relaxation, and well-being without adverse side effects. This is one of the most vital things you must know about essential oils… Not all essential oils are created equally. In fact, most of them are worthless to your health and often synthetic. When buying essential oils make sure they are certified pure therapeutic grade. If you want to order the brand I trust and personally use, email oils@draxe.com to order or learn where to buy them.